I was raised by a creative, resourceful mother. A woman who utilized the whole earth, taught us to give freely, and do unto others as you would have done unto you. She planted us five children in a warm, creative rural farm which encouraged space for us to fully grow into ourselves. In my career, I have met women leaders and organizations who emulate my mother’s strong values for hard work, generosity, respect, and a cultivated curiosity. As a donor, board member, or coach, I'm attracted to opportunities when I resonate with a leader who mirrors these values. My resourcefulness, playful spirit, and resilience comes from my upbringing and life experiences. I want to showcase some of the leaders and organizations who reflect these traits and model them as well. 1. Tides: An organization I have the pleasure of chairing the board, Tides’ mission is to accelerate the pace of social change, working with innovative partners to solve society’s toughest problem. In my role, I have the honor of working alongside CEO Kriss Deiglmeier, who has expanded Tides’ grant making from $92 million to more than $300 million this year. This means bigger, sustainable, and highly-needed giving to solve multiple challenges such as environmental protection of the Massachusetts coastline to educational advancement for all in Buenos Aires. Tides is not just about strategic philanthropy and impact investing; it’s about accelerating the pace of social change, which, ideally, was the central focus of every philanthropist and grantmaker. 2. Women Win: Sports are in my blood and being. Empowering girls through sports yield empowered, bold female leaders. And yes, the data proves it! Women Win is a global organization that equips adolescent girls to exercise their rights through sport. As a founding Board member of the Women Win Foundation, I am proud of the work we do cultivating embodied leadership through sports for girls living in countries where girls lack basic human rights. 3. 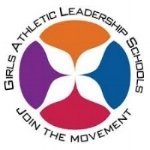 Girls Athletic Leadership Schools: GALS is at the forefront of the intersection of education and embodied leadership. GALS fosters academic success and personal development for young women to become powerful advocates for themselves and advocates in their community. GALS has effectively honed in on the importance of full-body, holistic learning and the benefits that it has for academic, personal, and (future!) professional success. 4. Washington Area Women’s Foundation: Located in the nation’s capital, Washington Area Women’s Foundation has supported the women and girls of the area, and organizations that work with them, to increase their assets and incomes by more than $45 millions dollars since 1998. By mobilizing the community to ensure economically vulnerable women and girls have the resources they need to thrive, they are addressing the root issues of poverty in sustainable, meaningful ways that have been modeled by many regional funds nationwide. 5. Asia Foundation- Women’s Empowerment Program: With so many foundations doing work in Asia, it’s crucial to keep the perspectives of grantees in mind first. Empower Her at Asia Foundation uses evidence-based programming that focuses on economic opportunities, increasing rights and security, as well as increasing female political participation. This “wrap around” programming ensures that system changes occurs alongside meeting current needs. The Women’s Empowerment Program uses the power of bringing a gender lens to politics, climate justice and entrepreneurship across Asia. 7. Roots to Resistance: Roots to Resistance is the result of the incredible time and talents of Artist Denise Beaudet. Two of the most important mantras for our time is the “personal is political” and “art is activism”. Denise marries those two philosophies into this project. Painting 12 portraits of International, radical Women Activists, Denise brings to life the faces and stories of the changemakers who have made an impact globally. Denise’s work will make sure these women are not forgotten or unseen and help to teach us universal lessons from fierce, bold, activist leaders. 8. Women’s Fund of Central Ohio: The focus of the Women’s Fund of Central Ohio could be my personal brand statement; WFCO is committed to igniting social change for the sake of gender equality. While Ohio may be viewed through a rusty lens by many Americans, WFCO is shifting that narrative with disruptive and innovative programming that builds meaningful change. Their toolkit, GenderByUs™ is one of the best conversation starters on bias and assumptions. 9. Third Wave Fund: Funding fierce next generational activists is key to our future. My lesbian feminist identity has played a substantial role in my giving and investing because it is who I am. Third Wave Fund is the only activist fund led by and for women of color, intersex, queer, and trans folks under 35 years old in the US. Over time, we have seen the power that radical change can create. Now more than ever, Third Wave Fund, their work and members, are needed. We must be there to support the next generation of activists. 10. 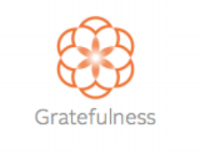 Gratefulness.org Doing this work takes resilience, grit and gratitude. Poetry is what breaks souls open and this team delivers spirit lifting and soul opening content and community in spades. Visiting this online portal of compassion, love and more brings more grace into our lives. Thank you to my dear friend Kristi Nelson for bringing a huge amount of brilliance and spiritual wisdom to guide this founder led organization onto a strong digital stage where it belongs. As we approach end-of-year giving, having just passed #GivingTuesday, I urge you to consider what your unique values are around giving. I’ve highlighted why each organization draws me to giving sustainably. Take time to reflect on your own values, write them down, and then find organizations that help you harness the power to create change with your time, talents and treasures.